The annual Consumer Electronics Show took place earlier this past month to much anticipation. Yet, apart from drones roaming about the displays with GoPros strapped to them, there wasn’t much overt buzz about the energy-saving gadgets. However, if you knew where to look, there were actually lots of innovative products showcasing how you could save you both time and energy around your home. Here are a few that really stood out to us. When it comes to energy efficiency and clothes dryers, the two things haven’t inhabited the same parts of the universe ever since people stopped using clotheslines. That has all changed with the introduction of two award-winning clothes dryers. TD-C901H Dryer image courtesy of LG. 1) The LG TD-C901H EcoHybrid dryer uses a heat pump (sample principle as an air conditioner/ heat pump system) to dry clothes using 50 percent less energy than a conventional electric dryer. Simply put – there is no need for traditional venting. For loads you want done in a hurry, the unit cuts in an auxiliary heater that reduces dry-time by 30% yet still reduces energy by 15%. A steam generator applies steam to the laundry on selected drying programs so you can freshen up clothes to reduce odors and wrinkles. It also comes with Smart Diagnosis and an app that will tell the service center what’s wrong with it. 2) The Whirlpool WED99HEDW HybridCare clothes dryer also uses a heat pump. Whirlpool says it’s “designed to regenerate energy during the drying cycle to reduce energy consumption while providing dryer speed performance and flexibility.” Whirlpool also declared it uses 73% less energy. Both Energy Star award winning dryers condense water out of the laundry and into a tank rather than venting the water as steam. This allows them to be installed almost anywhere with the only drawback being that the condensing tank will need to be emptied. You could water your houseplants with it. So, you’re an on-the-go mobile kind of person who works out of your laptop or tablet or smartphone. Even still, once in a while, you need to print something out, which is an annoyance. After all, what are you going to do — pull one out of your pocket? 3) ZUtA Labs Labs created a pocket printer robot that rolls around ever-so-carefully over the paper, laying down ink. The little bugger is about palm-sized, but can print to any size of paper. It prints 1 page per minute (black only) at 300 dpi — the same resolution as a basic laser or inkjet printer, but for far less the power requirement. The device runs on a rechargeable battery with one hour of run time and connects via WiFi. You can practically print anywhere. Not only are portable devices becoming more important, so is the need for their charging stations. These next two devices are just cool. Smart Backpack image courtesy of Ampl. 4) The WiPower from Qualcomm uses radio frequencies to charge devices wirelessly. The charger induces a magnetic field above it. The device you want charged captures that magnetic field energy and turns it into electrical energy. Shades of Nikola Tesla! 5) AMPL Labs makes the SmartBackpack which uses a rechargeable battery incorporated into the backpack that lets you charge your devices via 7 usb cables. You can even plug you bag directly into a wall outlet and use it to charge all your devices. Shock absorbing and weatherproofed, it can be controlled with its own app. Heating and cooling your home is one of your biggest expenses — it can be up to 50%, says the EIA. So, if you can knock this expense down just a little — while looking stylish— it’s worth the the effort. 6) Computer-cooling experts, Zalman USA, have devised Z-Air. It’s a ceiling fan with concealed blades lit by a LED lamp and equipped with air purification — all in a sleek dome for easy plus smart automation. 7) Samsung’s WiFi-enabled A3050 wall-mounted air conditioner system has a triangular design that moves more air through the system faster and cooling it more efficiently. It’s a room-sized split system —meaning that a suitcase-sized heat-exchanger sits separately outside. Split systems have been in use in the US for about 20 years and this system comes with a digital inverter that smooths out temperature fluctuations. Samsung also offers a heat pump version. Unfortunately, it’s not available in the US, yet. One more thing – First, the the world awoke to internet-connected coffee brewers. Now, the tech-day has ticked by, the sun is waning and it’s time for…beer! The PicoBrew Zymatic is the world’s first automatic all-grain beer-brewing appliance for the home featuring an internet connection. Home brewing at the touch of button no matter where you are. 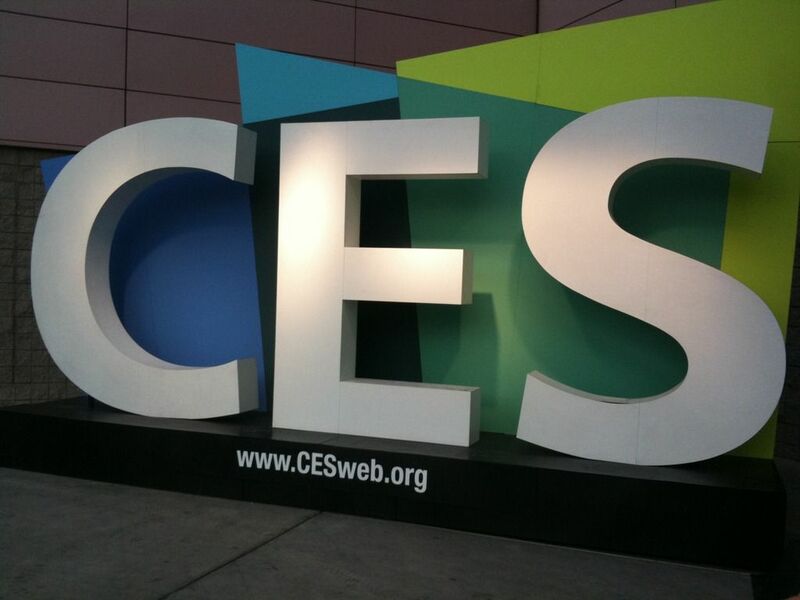 Did any of you attend or read about CES 2015? What devices stood out to you as having big energy-saving potential? What would you like to learn more about with these devices? Share with us in the comments!